If you are a non-rail served customer, we can provide information on how to obtain freight savings by combining rail transportation with transload and warehouse facilities in our area. 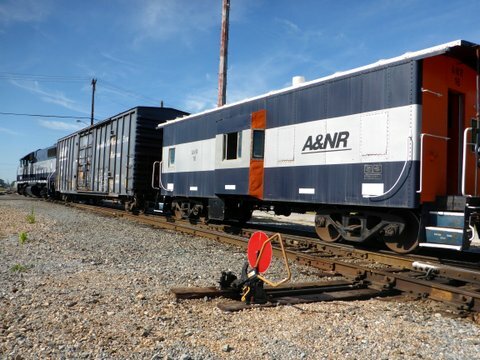 A&NR owns and operates its own fleet of 50ft. (Plate C) and 60ft. (Plate E) box cars. A&NR has capacity to store 600 railcars. Space is available for both empty and loaded railcar storage at competitive rates. Our on-site services and repairs can save on your transportation dollars. The Angelina & Neches River Railroad was founded in 1900 as a privately owned shortline railroad serving Lufkin and Angelina county shippers. A&NR’s dedicated employees provide personalized transportation services based on strong partnerships with our customers. A&NR trains move a diverse mix of products and raw materials including newsprint, ground-wood paper, lumber, chemicals, scrap metal, sugar, corn syrup, frac sand, aggregates and numerous industrial products. Operating 28 miles of owned trackage and an additional 3.5 miles of joint trackage via Union Pacific’s mainline. Three locomotives and 130 boxcars. Transloading services available with public team track loading and unloading. A&NR interchanges with Union Pacific Railroad at Lufkin, Texas. 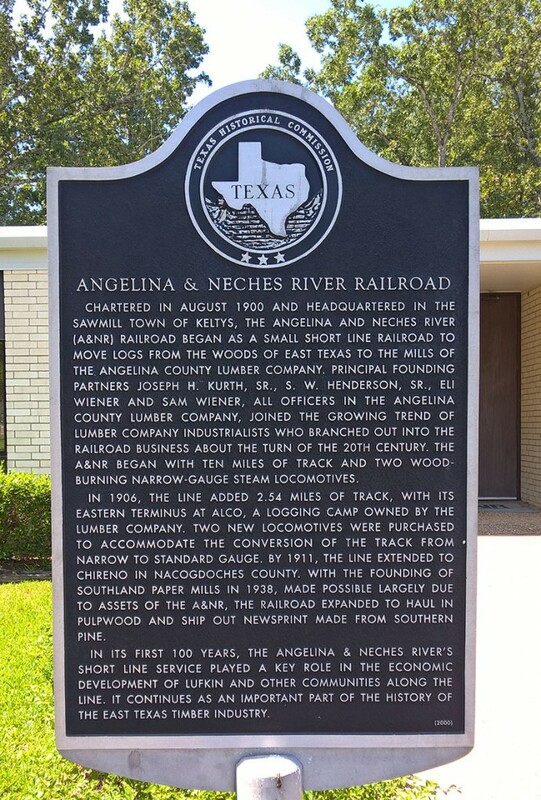 The Angelina & Neches River Railroad (A&NR) began in 1900 as a small shortline railroad to move logs from the woods of East Texas to the mills of the Angelina County Lumber Company. Principal founding partners: Joseph H. Kurth, S.W. Henderson, Eli Wiener and Sam Wiener joined the growing trend of lumber company industrialists who branched out into the railroad business about the turn of the 20th century. Since that time, A&NR Railroad has played a key role in the economic development of Lufkin and helped shape the success of Lufkin’s largest corporations.